New Rochelle, NY, September 10, 2018-Researchers have now grown lung organoids from human embryonic stem cells (hESCs) that, after implantation in mice, can develop mature alveolar type 1 (AT1) and AT2 cells and architecture approximating that of human lungs. The strategy is the first to generate both lung distal progenitor cells and mature AT1-like cells. The study is published in Stem Cells and Development, a peer-reviewed journal from Mary Ann Liebert, Inc., publishers. 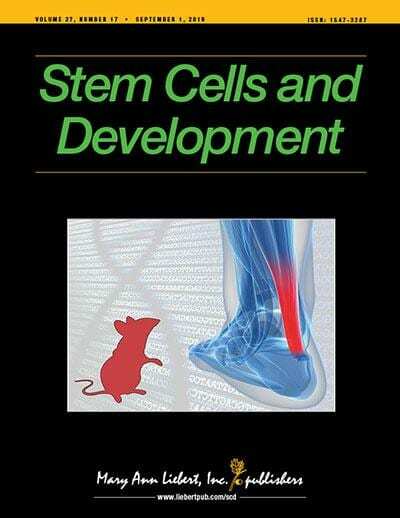 Click here to read the full-text article free on the Stem Cells and Development website through October 10, 2018. Ling Yin, Zhili Rong, and colleagues from the Cancer Research Institute of Southern Medical University, Guangzhou, China, present their research in an article titled "Long-Term Engraftment Promotes Differentiation of Alveolar Epithelial Cells from Human Embryonic Stem Cells Derived Lung Organoids". The authors prepared lung organoids by providing hESCs with a specific set of differentiation-inducing growth factors and chemical inhibitors and then embedding these cells in Matrigel. After different growth periods from ~3-6 weeks, formed organoids were engrafted into immunocompromised mice to assess further differentiation. The authors studied these organoids after short-term (21 d) or long-term (?100 d) engraftment and identified a progression from abundant progenitor cell types to more completely differentiated and mature AT1 and AT2 cells as the duration of in vitro differentiation and engraftment increased, thus providing a model of human lung development.